We're changing the face of end organ failure. IVIVA Medical was founded with the goal of developing autologous tissue constructs as a solution to end-state renal disease (ESRD). End-stage renal disease affects over 500,000 patients in the United States and despite transplant being the only definitive treatment for ESRD, most will never receive a donor kidney. Our team is leveraging emerging complementary technologies in tissue engineering, 3D additive manufacturing, and stem cell biology in order to realize the potential of regenerative medicine to end donor organ shortage. We are developing bioartificial platforms and systems not only to provide therapies but to serve as the foundational building blocks for the next generation of engineered functionalized tissues. It is critical that we develop alternative ESRD therapies that will alleviate donor organ demand, reduce mortality, and provide better quality of life for patients. Developing a clinical application that replicates high level native kidney function and physiology requires a scaffold to provide the architecture and stability required for physiologic perfusion and filtration. At IVIVA we’re developing therapies using proprietary printed biologic scaffolds to replicate physiologically functional tissue constructs; platforms with the potential to replicate autologous renal function. Our composite hydrogel scaffolds are created using computer designed architecture and provide a unique starting point for developing many types of perfusable tissue constructs. Our organ engineering technology is dependent on biomimetic systems capable of replicating physiological conditions in vitro. Along with our tissue engineering platforms we have developed a variety of biomimetic systems capable of modeling whole organ function in a range of tissue types. These systems allow for the modeling of high level tissue function and disease pathology on a whole organ scale, as well as provide a test platform for therapies, devices, and interventions. We have experience developing systems based on both large and small animal models for various organs. At IVIVA we also develop custom bioreactors systems designed to provide highly physiological in vitro culture environments for a variety of organ types, allowing tissue constructs to achieve high level function. These systems are suitable for ex vivo culture, decellularization, and recellularization of large and small animal whole organ tissue. As CEO, Brock Reeve has overall responsibility for leading IVIVA Medical and is excited to be working with a world-class team to solve the major medical challenge and clinical need for kidney repair. Brock is also the Executive Director of the Harvard Stem Cell Institute, whose mission is to use stem cells, both as tools and as therapies, to understand and treat the root causes of leading degenerative diseases. HSCI invests in scientific research and its faculty has grown to include over 350 Principal and Affiliated members. The Institute engages with several leading pharmaceutical companies and foundations in joint research projects and its faculty have founded over 25 stem cell-related startup companies and serve on leading Scientific Advisory Boards. Prior to HSCI, Brock’s background was in the commercial sector with extensive experience in both management consulting and operations for technology-based companies, with a focus on life sciences. Brock was COO and Managing Director of Life Science Insights, an IDC company, a consulting and market research firm specializing in information technology in life sciences. As a consultant, Brock has additional experience in IT and the healthcare/life sciences market with IBM, Viant Corp. and SRI Consulting, where his clients included some of the leading pharmaceutical, biotechnology and medical device companies. Brock received a BA and MPhil from Yale University and an MBA from Harvard Business School. Charles currently leads research and development efforts as vice president of engineering at IVIVA Medical. His work includes developing tissue engineering and imaging systems, bioreactors, and novel whole-organ disease modeling platforms for internal use and for industry and academic partners. Charles has extensive experience in artificial bioscaffold design and fabrication, 3D printing, and tissue regeneration. Charles received an M.S. degree in Biomedical Engineering from Johns Hopkins University in 2014 after conducting research focused on regeneration of liver tissue using perfusion decellularized scaffolds as a platform. In addition to tissue regeneration he worked on the development and refinement of bioreactor systems to serve as platforms for stem cell based regeneration of tissue scaffolds and whole organ constructs. Maria leads the cellular biology efforts at IVIVA. Her work involves the development of methods for cell isolation, separation and characterization as well as stem cell differentiation. Maria completed a research fellowship at Massachusetts General Hospital and Harvard Medical School where she worked on liver tissue engineering through decellularization/recellularization approaches and evaluated decellularized liver matrix as a platform for hepatic differentiation of pluripotent stem cells. She completed her PhD in Bioengineering at the University of Pittsburgh where her research involved pancreatic differentiation of embryonic stem cells through modulation of various aspect of the cellular microenvironment. In addition, Maria has contributed in projects related to breast cancer cell motility and biophysics, development of 3D breast cancer tumor models, irreversible electroporation as a tool for liver regeneration, and engineering of vascularized skin grafts. Prior to IVIVA, Rob worked as a life sciences strategy consultant with ClearView Healthcare Partners. Rob has a wealth of experience advising biotechnology and pharmaceutical companies in a wide variety of capacities, including pricing and market access, due diligence and financial assessment, mergers and acquisitions, clinical development planning, life cycle management, and product launch strategy and execution, among others. Additionally, Rob has experience in numerous therapeutic areas, particularly nephrology and regenerative medicine. Rob received a BS in Biomedical Engineering from Rensselaer Polytechnic Institute and a PhD from the University of California, San Francisco. During his graduate studies, Rob investigated potential explanations for the limited regenerative potential of humans compared to species such as zebrafish and axolotl. Utilizing transgenic zebrafish, he generated evidence connecting a human tumor suppressor (ARF) to anti-regenerative sensing and action, thus positing the duality of an evolutionarily advanced tumor suppression pathway present in mammals but not highly regenerative species. 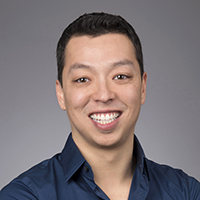 Before joining IVIVA, Ben worked for Abiomed, Inc. as a member of the engineering team supporting the company’s flagship Impella platform of percutaneous circulatory support devices. He has experience in project management, design improvements, production scale-up and failure analysis of FDA Class III medical devices. Previously, he was a graduate student at Dartmouth College where his research was on the clinical performance of Class II orthopedic implants. Specifically, he was a subject matter expert in high-resolution metrology (~2 um) of in vivo wear of highly-cross-linked polyethylene hip liners of various implant lifetimes and published his metrology technique for this application. Ben received a BA from Colby College and a BE and MS in Medical Engineering from Dartmouth. Harald Ott is a thoracic surgeon at the Massachusetts General Hospital and an Associate Professor in Surgery at Harvard Medical School, where he built one of the leading laboratory groups in organ engineering and regeneration. He discovered and perfected the method of stripping an organ of its own cells and then infusing the remaining scaffold with new progenitor cells. To date, his technology has been successfully applied to heart, liver, lung, kidney, pancreas, and composite tissue regeneration. The approach of reseeding and engraftment of native cells to generate personalized organ grafts potentially eliminates donor organ shortage and the need for life-long immunosuppression in transplant patients, and thus lays the path for effective solutions for the millions of people in need of organ repair or replacement. Harald’s background is in surgery (M.D. ; University Innsbruck in Austria, 2000) and this training has been an asset for his chosen field of scientific research and development. The privilege to work with patients suffering from end organ failure provides the motivation to continue to push boundaries in organ regeneration. Inspired by a pediatric patient suffering from end stage kidney disease, he founded IVIVA Medical to develop novel treatment solutions for this devastating disease. Please feel free to contact us directly, or complete the form below.